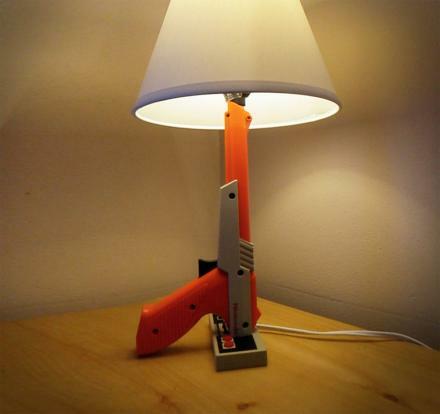 The NES zapper lamp is a lamp that is made out of a original Nintendo zapper gun and a NES controller, and is a perfect gift idea for greasy nerds of all ages. 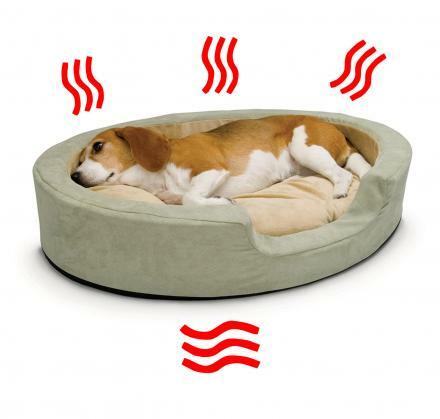 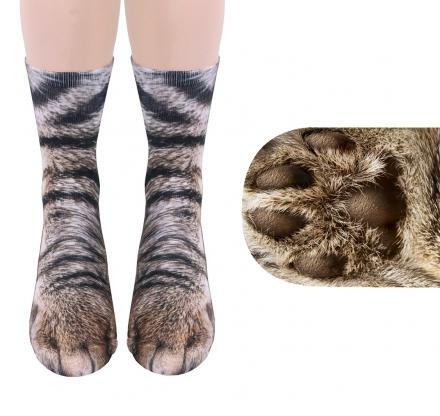 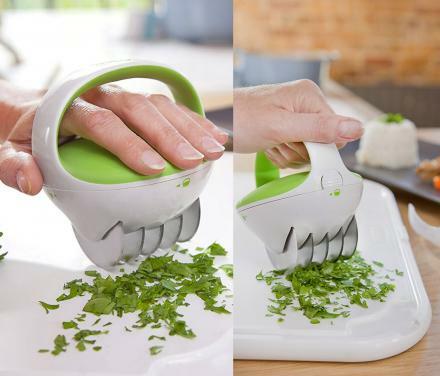 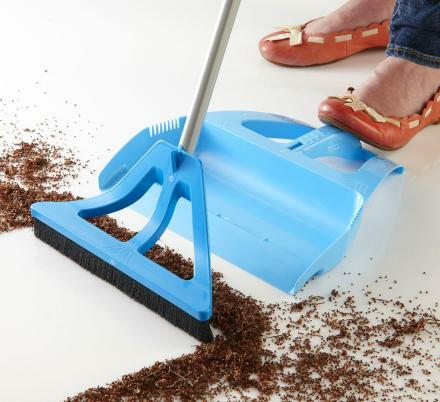 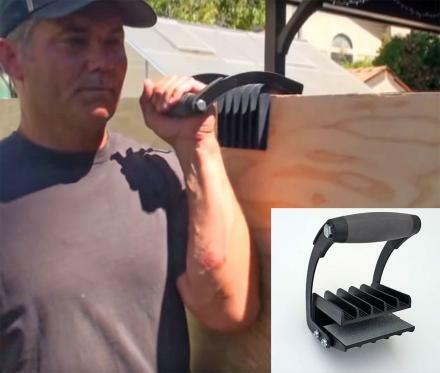 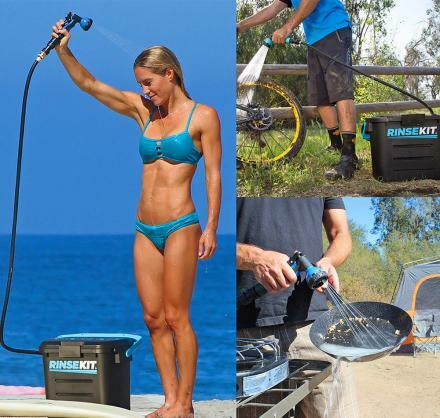 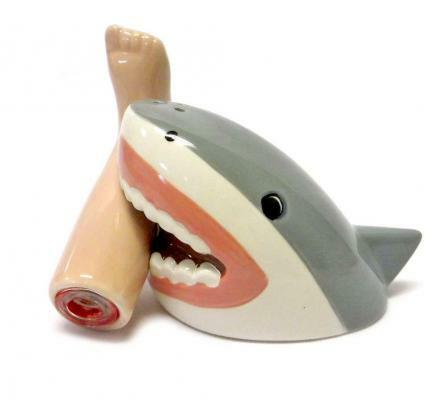 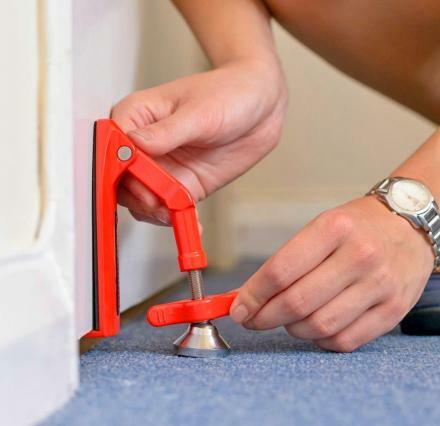 Just think of the tail you could pull in when you unveil this gem to ladies you bring home. 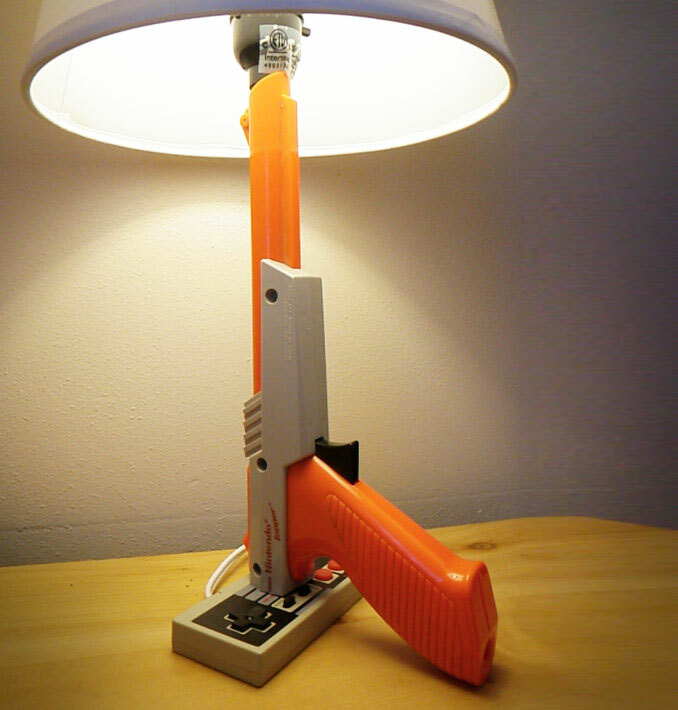 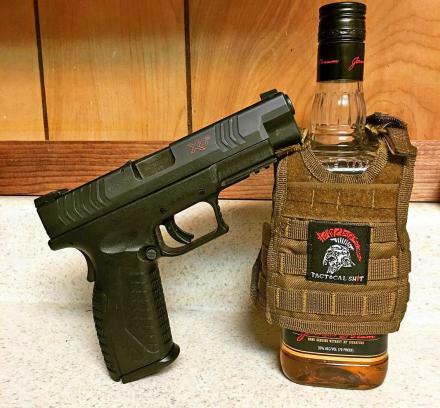 You bring a girl home from the bar, you show her to your bedroom and flick on your NES zapper lamp, and the deal is done, you will now be making eggs and bacon for two in the morning. 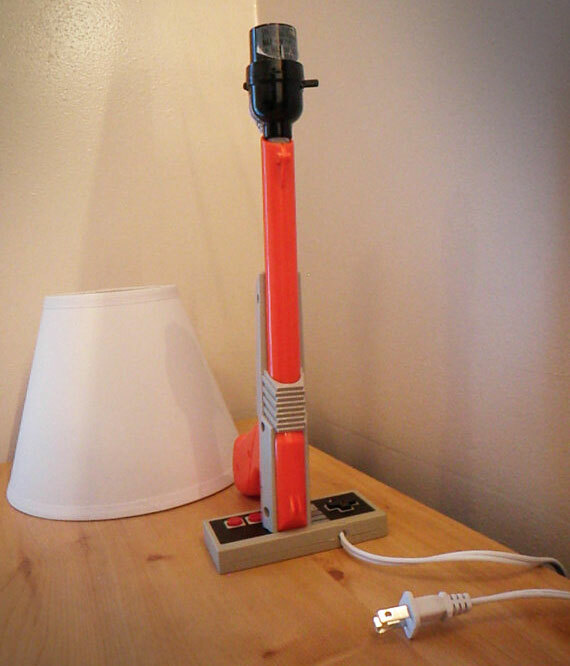 The Nintendo Zapper lamp measures 19 inches tall, comes with a 50 inch power cord, will fit any standard size light bulb, and comes an orange accent or grey accent. 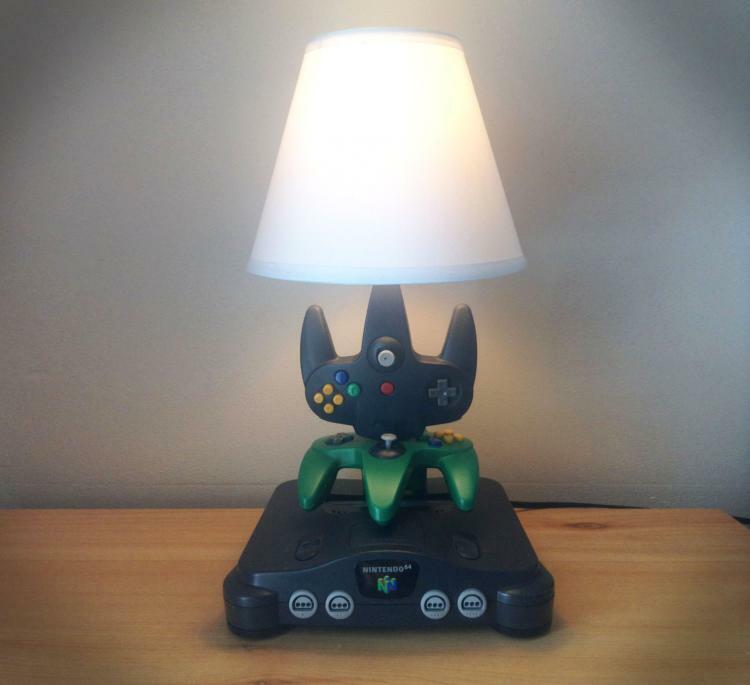 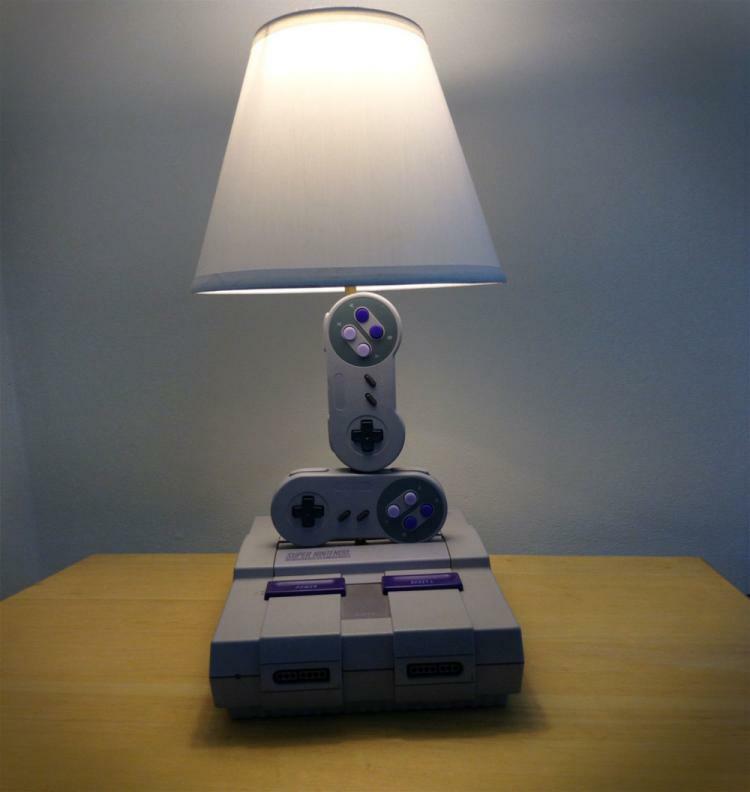 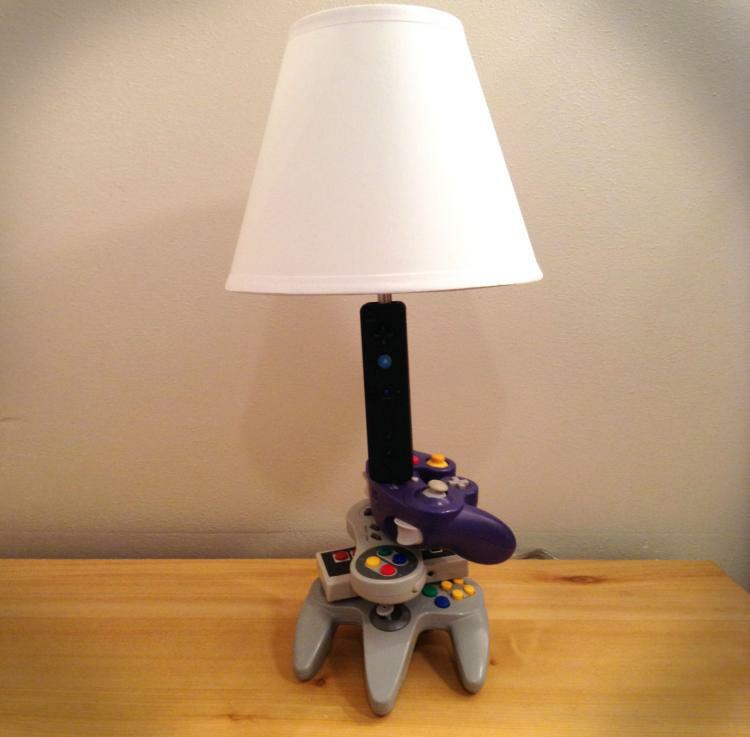 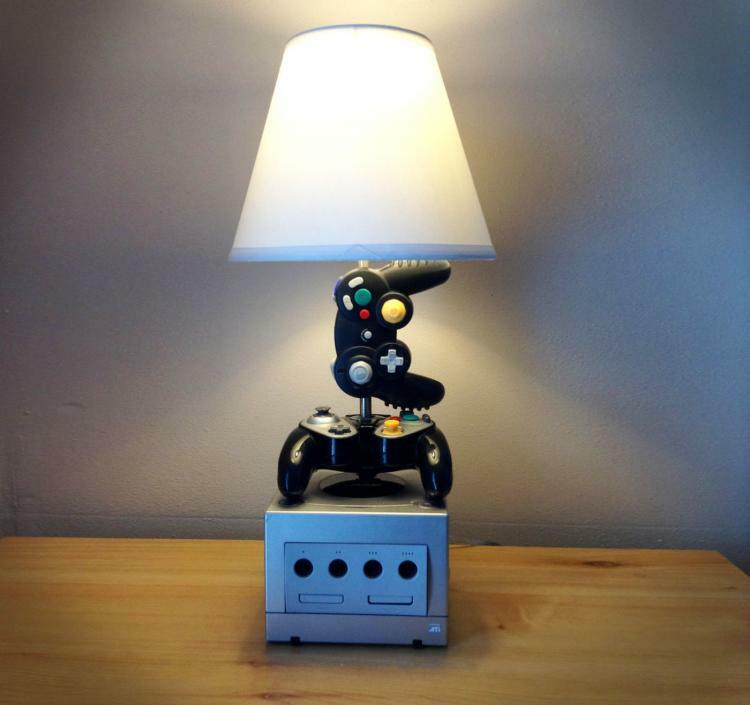 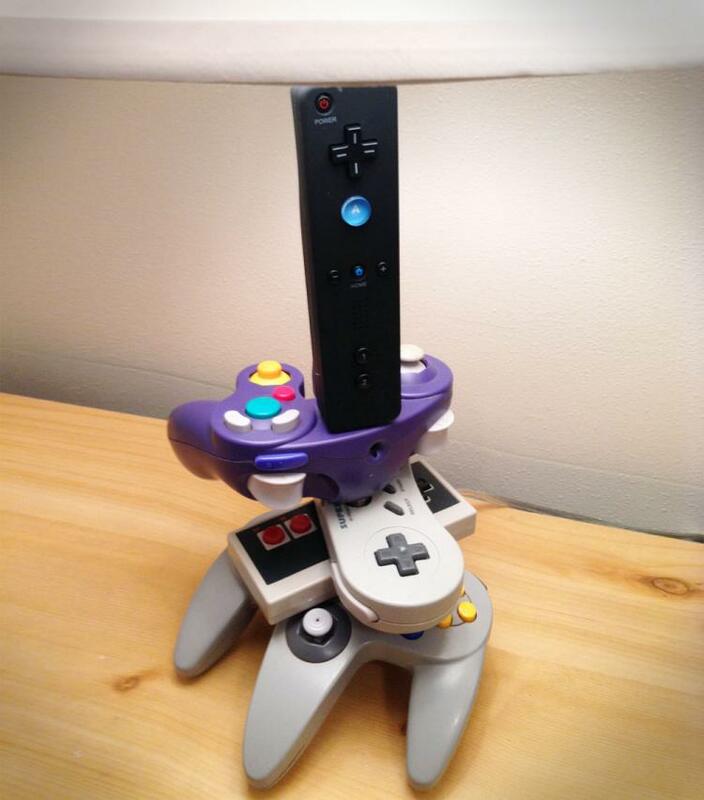 Also be sure to check out the Nintendo 64 Lamp, the Playstation 1 Lamp, the Game Cube Lamp, or the mega Nintendo nerd lamp which includes a controller from each Nintendo console.